It happens to the best of us. One day, you’re doing well and your Poshmark sales continue. Then, it stops….and doesn’t pick us. You notice you’ve got a lot of dead inventory and a case of the closet crickets. 1. Continue to self share! You need to ensure that you’re getting continuous exposure. Share during different times of the day (don’t forget the parties!) and mix up the order of your closet. There are so many users on the app, so take advantage of it. 2. Don’t underestimate the power of engagement! Continue to follow users (especially those who like the brands you’re carrying) and welcome new ones! You want as many new eyes on your closet as possible. 3. Re-vamp your listings! Does your cover shot need to be redone ? Maybe you need a different view of the item. Perhaps you need a reshoot under natural lighting. Maybe that flat lay just isn’t working anymore. Whatever the case, a new shot gives a new perspective on an item. 4. Review the text! Does your title promote SEO? Are there too many emojis and not enough substance? Are your descriptions too short ? Think about what you would search for when buying and what you’d like to read on the condition. The more descriptive listings are better than saying “cute black coat. Medium”. 5. Don’t give up! Unless your Posh time is taking away from some other valuable things in your life, continue to work at it! It’s easy to give in when things are down. Don’t get stuck in those negative feelings. Instead, focus on what you can do to make it work! 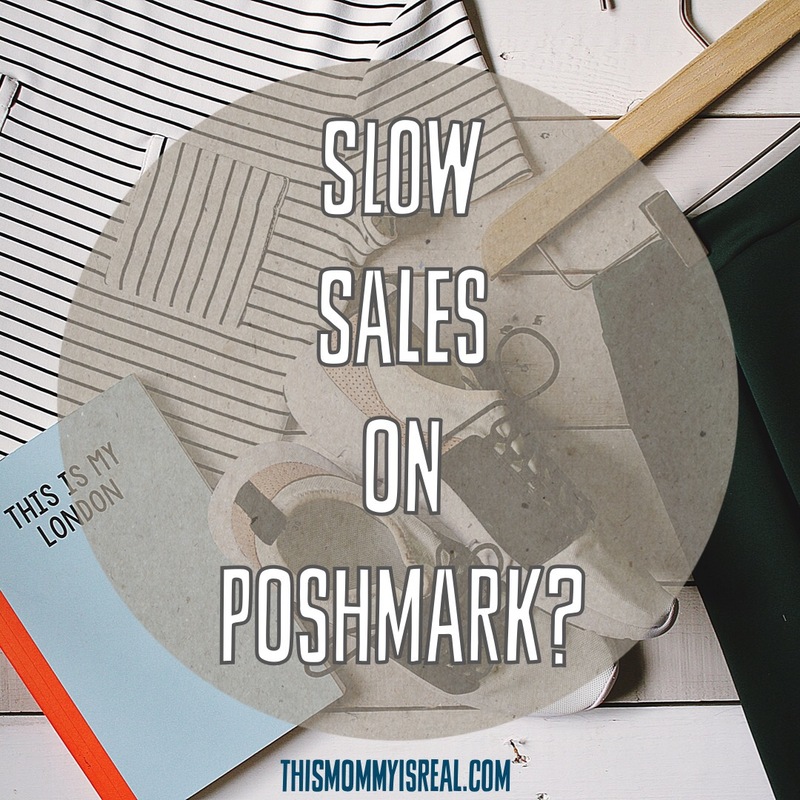 What things have you done to get through a slow sales? Comment below! ← Are you being Mommy Tracked?